TapBeat on February 1st, 2011! Concert beginns at 10 p.m.
2 Levels: Adv Beginner + Int Advanced. Show with Cristina, Banda do Sapato among others. Workshop with Guillem Alonso (Barcelona). 2 levels: Intermediate + Advanced. All levels (basic knowledgement in tap dance needed). Workshop with Brenda Bufalino, Cristina Delius and Guido Witte. Master class with Brenda Bufalino. Adv Beginners and Intermediate classes with Cristina Delius. 8:30 p.m.: Welcome Party for Brenda Bufalino. Little Tap Dance Night with Chili con Tap. Workshop with Silvia Ocougne and Cristina Delius. "Rhythmic and Improvisation-Brasilian rhythms and grooves". For all levels. Improvisation-Compact-Course with live music at TapaToe, das Steptanzstudio. Schedule: Every friday in January and February from 6:30–8:00 p.m.
Improvisation class with live music. Brenda Bufalino and Josh Hilberman. Master Class during the "Tap City" Festival in New York. Friday, July 9 at 11:00 p.m.
Special guest with Chili con Tap at the StageDiven Show. Venue: BKA Theater, Mehringdamm 34, Berlin-Kreuzberg. Lecture on tap dance history illustrated with film and photo material. Saturday, May 8 at 9:00 p.m.
Tripeco in Quintas de Leitura. "Casas Kitadas": Poetry, Music, Performance and Tap Dance. Dia do Sapateado (National Tap Day). From July 5–10 2010 in New York (USA), takes place Tap City the preeminent tap dance Festival in the World. This year Cristina Delius has been invited to participate at the Festival as a guest Soloist and teacher. Cristina's Tap Dance Company Chili con Tap will also present a new piece at the show Tap City 2010, The Main Event. 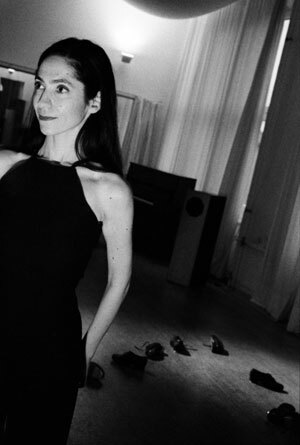 The World of Tap Dance: Cristina will be a guest speaker and will perform with other international guest artists during this symposium about tap dance. Moderation: Brian Seibert (Village Voice) and George Nierenberg. Venue: The Martin E. Segal Theatre Center. Master Class: Body & Soul. Solo-Performance at the Tap City 2010, The Main Event. Venue: symphnonyspace, Peter Jay Sharp Theatre. Chili con Tap performance at the Tap City 2010, The Main Event. With Chili con Tap dancers: Claudia Drießler, David Hellwig, Mano Hiroki, Marion Janning, Anabela Martins, Felix Morgenstern, Regina Pabst, Henriette Rieffel, Marinela Silva and Ana Sousa. Raquel Vieira de Almeida, Gabi Bauer, Rubén Perez Viana and Kathrin Wehr. We will miss them. Venue: symphonyspace, Peter Jay Sharp Theatre. Cristina will also be participating in other tap dance events in New York. 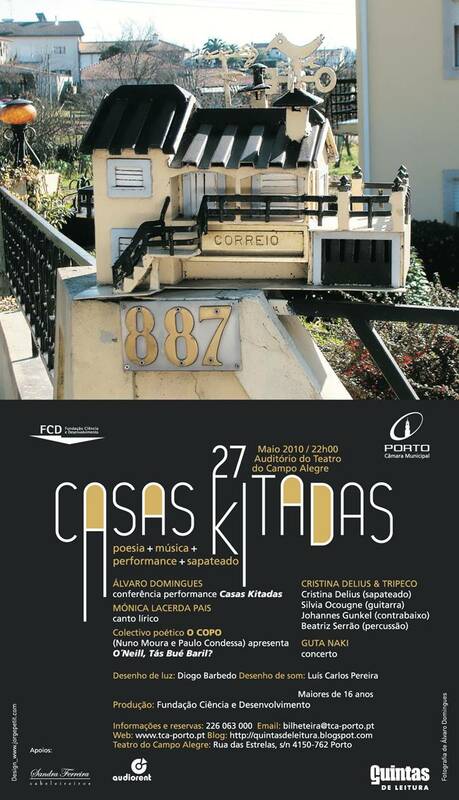 Cristina Delius and Chili con Tap projekt in New York will be supported by the GDA (Portugal).